In addition to Dr. Fissell’s clinical expertise in general nephrology, he has long had a particular interest in the delivery of care for patients with acute and chronic renal failure requiring dialysis therapy. His expertise has allowed him to find novel solutions to patient’s difficult dialysis problems. Dr. Fissell’s research interests parallel his patient care interests. He is a biomedical engineer and physician who is developing an implantable artificial kidney to treat kidney failure. Over a half million people in the United States have permanent kidney failure. The best treatment for kidney failure is a kidney transplant. Due to a shortage of organs, only the very lucky few are able resume healthy lives with a transplant after kidney failure. The only other treatment available is dialysis. Although dialysis is lifesaving, it is laborious, time-consuming, and is associated with poorer survival than transplant. During his undergraduate years at M.I.T., Dr. Fissell worked in the laboratory of Claude R. Canizare developing spectroscopy instruments for NASA's Chandra Observatory. Dr. Fissell then spent several years working as an advanced life support paramedic for Cataldo Ambulance before returning to school at Case Western Reserve University Medical School in Cleveland, Ohio. During his internal medicine residency, he made the fortuitous observation that the filtration structures in the healthy kidney resembled the Chandra HETG on which he had worked as an undergraduate. This stimulated the idea that silicon nanotechnology might be an enabling technology for organ replacement. Dr. Fissell was very fortunate to develop partnerships with Dr. H. David Humes at University of Michigan and Dr. Shuvo Roy, now at UCSF. Dr. Roy and Dr. Fissell now co-direct The Kidney Project, a multiyear NIH-funded project to create the first implantable artificial kidney. 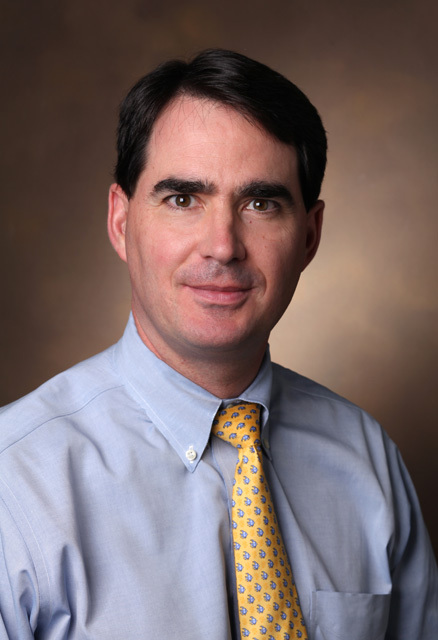 Dr. Fissell is now Associate Professor of Medicine and Biomedical Engineering at Vanderbilt University, where he directs research in artificial organs, tissue engineering, pharmacokinetics, and dialysis in acute kidney injury. 1. Preliminary Diffusive Clearance of Silicon Nanopore Membranes in a Parallel Plate Configuration for Renal Replacement Therapy. 2. Bridging Translation by Improving Preclinical Study Design in AKI. 3. Optimal design of perturbations for individual two-compartment pharmacokinetic analysis. 4. Shear stress is normalized in glomerular capillaries following ⅚ nephrectomy. 5. Current strategies and challenges in engineering a bioartificial kidney. 6. Staying on target with continuous dialysis. 7. Pharmacokinetic assessment in patients receiving continuous RRT: perspectives from the Kidney Health Initiative. 8. Imaging assessment of a portable hemodialysis device: detection of possible failure modes and monitoring of functional performance. 9. Laboratory assays in renal failure: therapeutic drug monitoring. 10. Hemodialysis: core curriculum 2014. 12. Pharmacokinetics and pharmacodynamics of imipenem and meropenem in critically ill patients treated with continuous venovenous hemodialysis. 13. The bioartificial kidney: current status and future promise. 14. Effects of pressure and electrical charge on macromolecular transport across bovine lens basement membrane. 15. Achieving more frequent and longer dialysis for the majority: wearable dialysis and implantable artificial kidney devices. 16. Antimicrobial dosing in acute renal replacement. 17. Intradialytic hypotension: a case for going slow and looking carefully. 18. Use of therapeutic drug monitoring to treat Elizabethkingia meningoseptica meningitis and bacteraemia in an adult. 19. A low-cost automated streaming potential measurement system. 20. Illuminating the glomerular filtration barrier, two photons at a time. 21. Pharmacokinetics and pharmacodynamics of piperacillin-tazobactam in 42 patients treated with concomitant CRRT. 22. Albumin handling by renal tubular epithelial cells in a microfluidic bioreactor. 23. Detectability of vasopressin in continuous venovenous hemodialysis effluent of patients with vasodilatory shock treated with exogenous arginine vasopressin. 24. Implanted renal replacement for end-stage renal disease. 25. Reduced diffusion of charge-modified, conformationally intact anionic Ficoll relative to neutral Ficoll across the rat glomerular filtration barrier in vivo. 26. Hypophosphatemia during continuous hemodialysis is associated with prolonged respiratory failure in patients with acute kidney injury. 27. Hemocompatibility of silicon-based substrates for biomedical implant applications. 28. Therapeutic drug monitoring of piperacillin-tazobactam using spent dialysate effluent in patients receiving continuous venovenous hemodialysis. 29. Basal lamina secreted by MDCK cells has size- and charge-selective properties. 30. Molecular conformation and filtration properties of anionic Ficoll. 31. A microfluidic bioreactor with integrated transepithelial electrical resistance (TEER) measurement electrodes for evaluation of renal epithelial cells. 32. Anti-biofouling Sulfobetaine Polymer Thin Films on Silicon and Silicon Nanopore Membranes. 33. Characterizing the surface charge of synthetic nanomembranes by the streaming potential method. 34. Silicon induces minimal thromboinflammatory response during 28-day intravascular implant testing. 35. Permeability - Selectivity Analysis for Ultrafiltration: Effect of Pore Geometry. 36. High-Performance Silicon Nanopore Hemofiltration Membranes. 37. The implantable artificial kidney. 38. Cleveland Clinic workshop on innovation in treatment of uremia: an introduction to the proceedings. 39. Middle-molecule clearance at 20 and 35 ml/kg/h in continuous venovenous hemodiafiltration. 40. Size and conformation of Ficoll as determined by size-exclusion chromatography followed by multiangle light scattering. 41. New insights into mechanisms of glomerular permselectivity. 42. Solute partitioning and filtration by extracellular matrices. 43. Middle-molecule clearance in CRRT: in vitro convection, diffusion and dialyzer area. 44. Biomolecular transport through hemofiltration membranes. 45. Development of continuous implantable renal replacement: past and future. 46. Ficoll is not a rigid sphere. 47. Dialysis and nanotechnology: now, 10 years, or never? 48. Differentiated growth of human renal tubule cells on thin-film and nanostructured materials. 49. The future of hemodialysis membranes. 50. Electrochemical detection and characterization of proteins. 51. Developments towards an artificial kidney. 52. Renal cell therapy in the treatment of patients with acute and chronic renal failure. 53. Cell therapy of renal failure. 54. Cell therapy with a tissue-engineered kidney reduces the multiple-organ consequences of septic shock. 55. Bioartificial kidney ameliorates gram-negative bacteria-induced septic shock in uremic animals. 56. The bioartificial kidney in the treatment of acute renal failure. 57. Metabolic replacement of kidney function in uremic animals with a bioartificial kidney containing human cells. 58. Bioartificial kidney alters cytokine response and hemodynamics in endotoxin-challenged uremic animals. 59. The role of a bioengineered artificial kidney in renal failure. 60. Hydroxyurea-induced hepatitis in human immunodeficiency virus-positive patients.